Being at home full time with our two little ones means we spend a lot of time together. Whether it's playing or just doing day to day jobs it's always the three of us. Joe is really lucky to have a job that he loves but that also gives him more days off sometimes during the week or on alternate weekends. We tend to plan things to do together but quite often all TJ wants to do is have some one on one time with his Dad or "Just the boys". 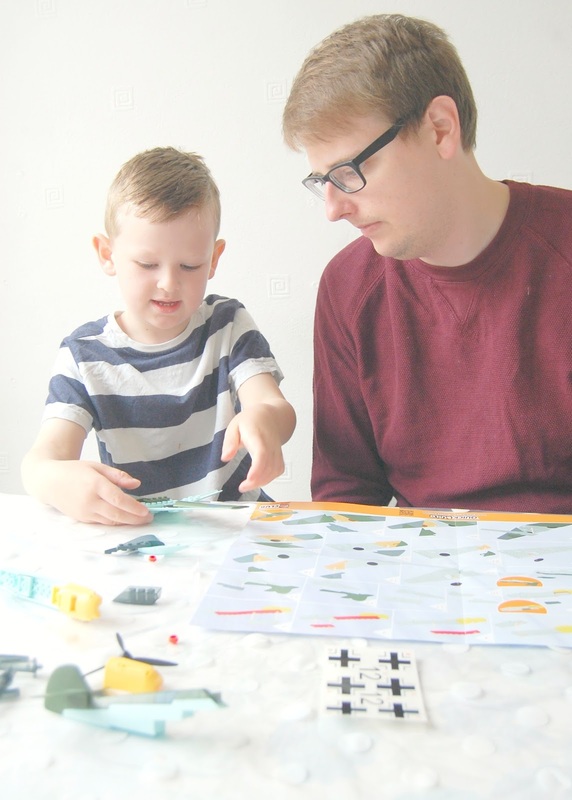 While I never thought I'd spend so much time looking for Lego Pieces, playing with Light Sabres or acting like a Dinosaur there's no substitute for "Dad time". These two are so similar in every way; from their looks to their complete obsession with Lego. 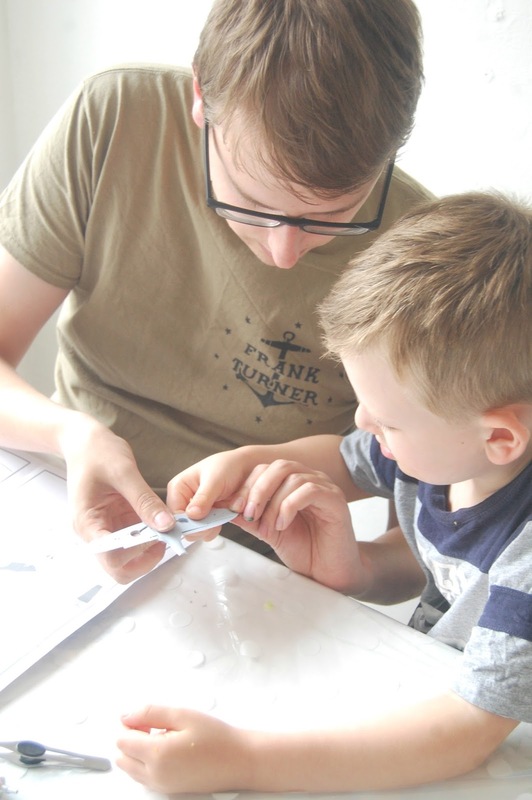 He has inherited his Dad's concentration for building things and also loves anything to do with history. He loves going round old castles and visiting museums and always asks a lot of questions about the way people used to live or what happened long ago. I love that he's developed such a strong interest so early and that he shares it with his dad. Generally when these two aren't off exploring they're building something out of their huge Lego collection which they're happy doing for hours. 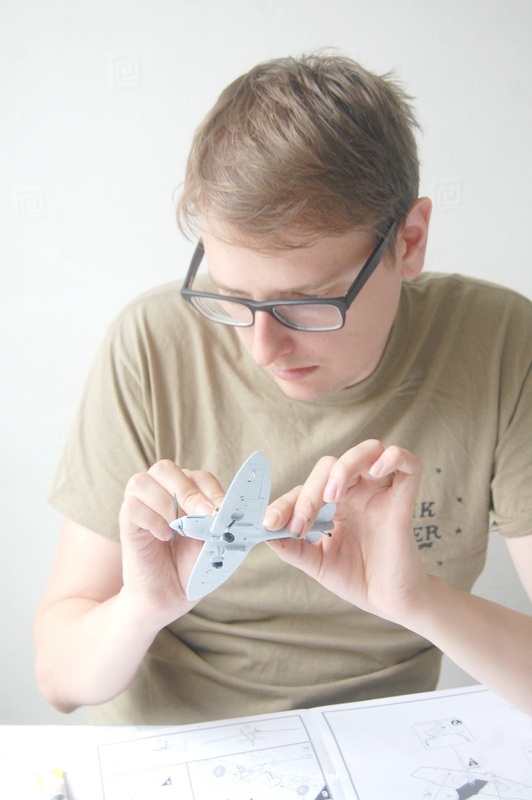 Airfix sent them some of their sets to try out ahead of the new Dunkirk movie which comes out this Friday; something Joe has been eagerly awaiting, being a bit of a world war two buff. 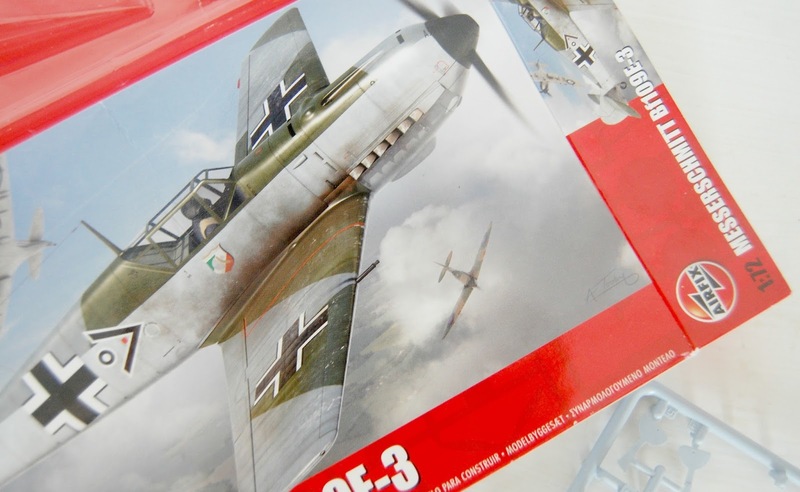 They have both built some Airfix models before and really enjoyed them so they were looking forward to getting stuck into these! 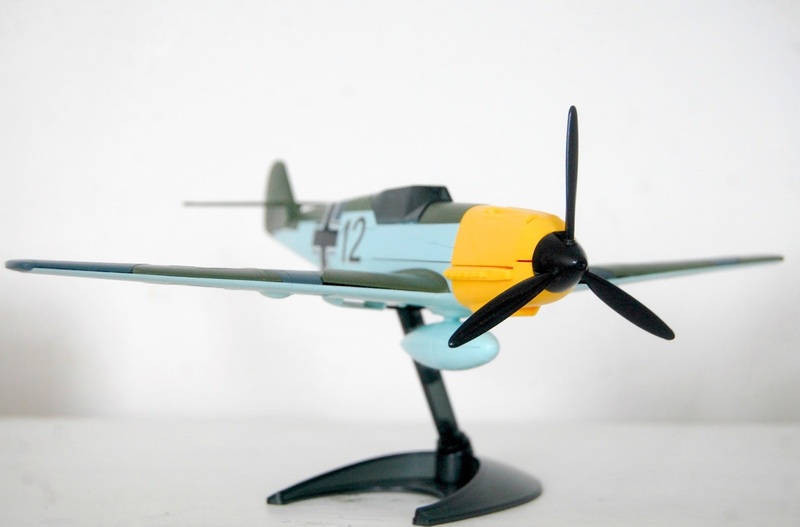 The two quick-build sets, the Spitfire and the Messerschmitt are aimed at ages 5 and up so TJ is just ready for these. He loved that they are snap together pieces and were colourful. He was able to put the pieces together quite easily but is a bit of a perfectionist with stickers so he did get some help there. 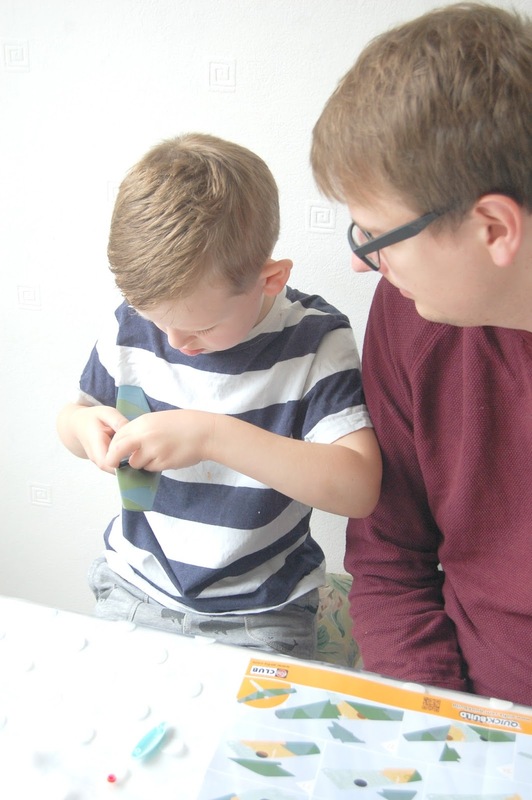 The instructions were a little different to what he is used to but he enjoyed the challenge and had his Dad was on hand to help of course.
" I really like building these and how they look; I'd love to do them again!" They come with little stands for displaying and he was so proud to put them on his bedroom shelf for everyone to see. 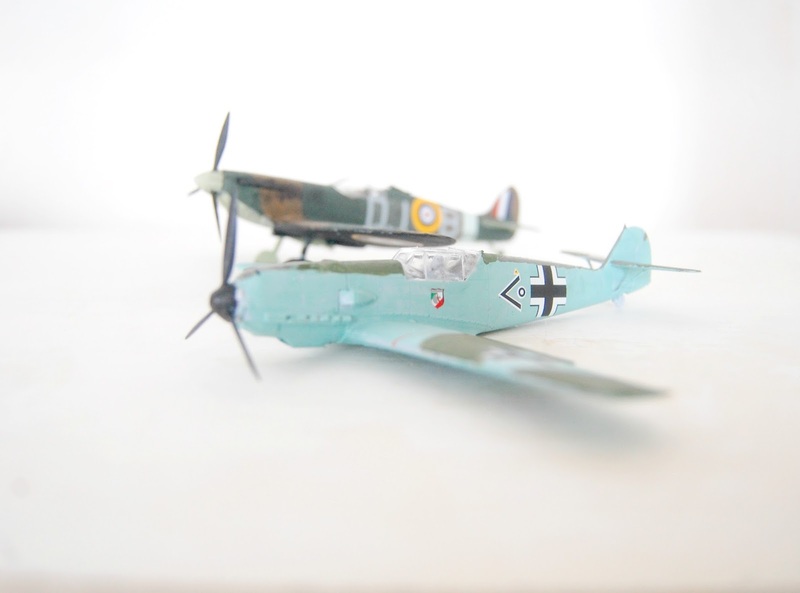 He loves planes as it is but these are now his prized possessions as he built them himself. 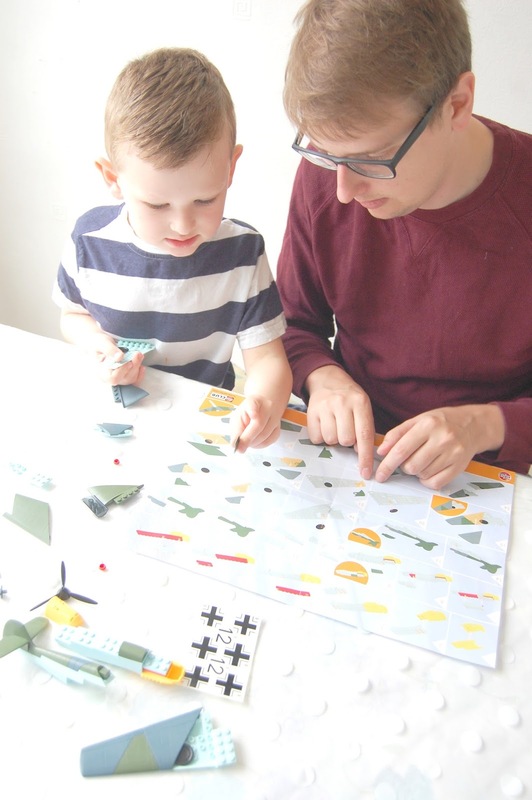 These took him about an hour to put together carefully so they're a great activity for some focused creative time as well as been a good tool for teaching younger children about the history of the planes and their role in the war which his Dad knows lots about! 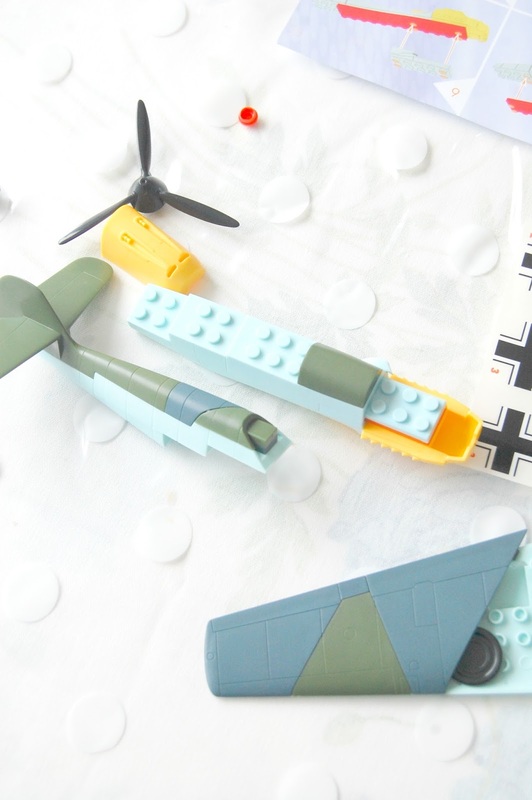 We were really impressed with the quality of these little planes and their construction. 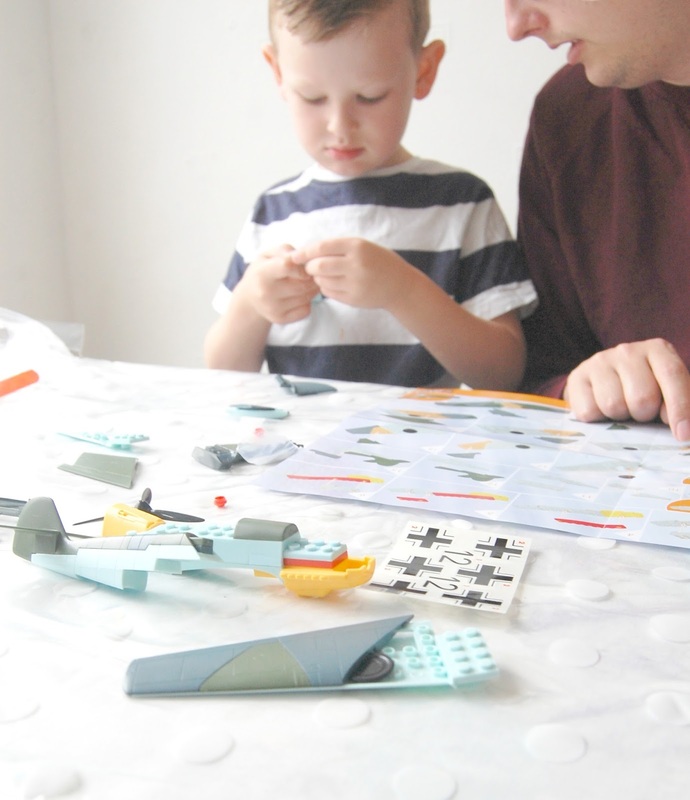 The Starter sets, also Spitfire and Messerschmitt, were a bit more complicated and although TJ enjoyed watching his Dad they're definitely for older children and adults. 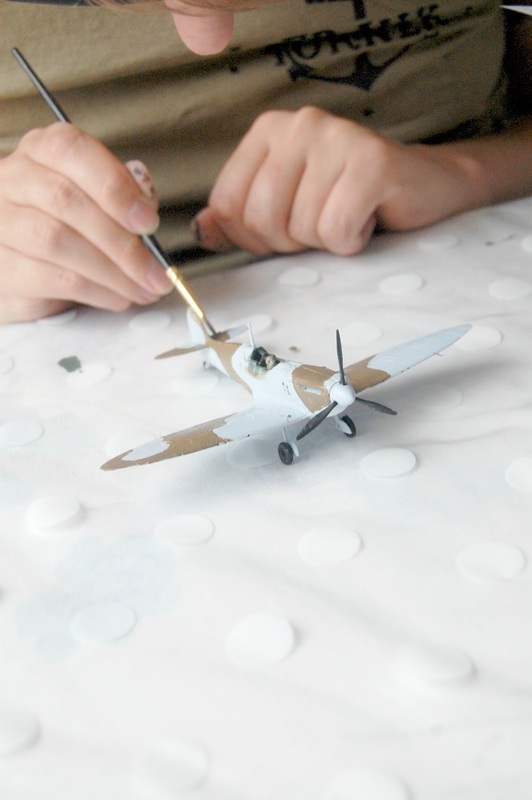 The starter kits contain everything you need for a first Airfix model build incuding the paint and polycement. Joe enjoyed some peace and quiet putting these together after the boys were in bed; As he works in care he has actually put Airfix sets together before with some of the clients and found them a great activity for quiet times; some of the older residents loved reminiscing about their memories from the war where they saw the actual planes and talking about their history. 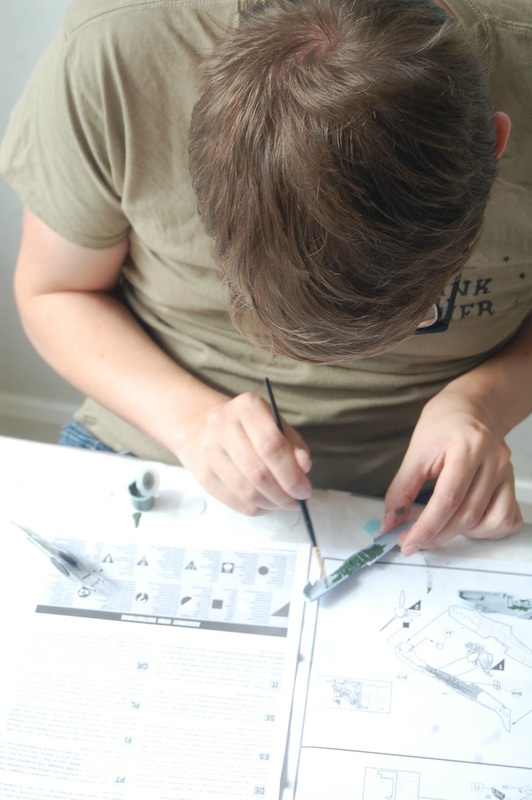 "The Airfix sets are a classic, enjoyable to build and always a good stress buster! Looking at them turning into actual models is very satisfying and I really enjoyed building both of these. They do require a lot of concentration, so probably best when you have some peace! The design and quality is great and they fit together so well. 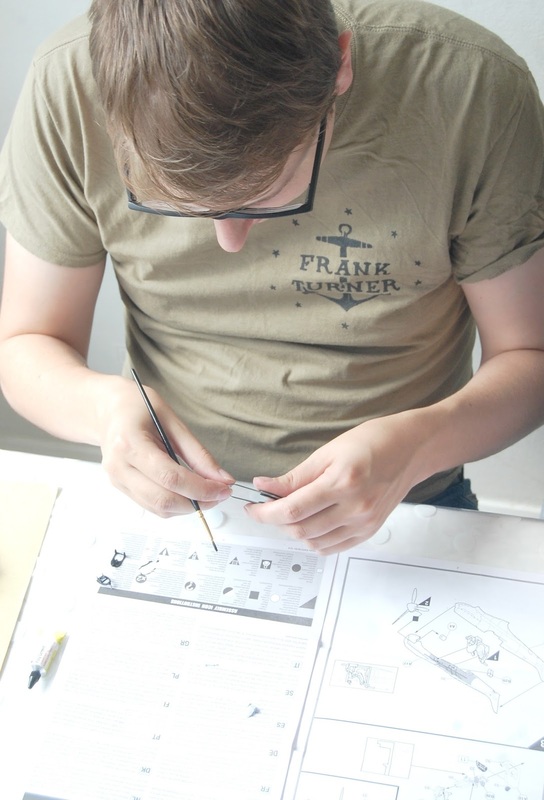 They're a great activity and definitely something I'd do again. 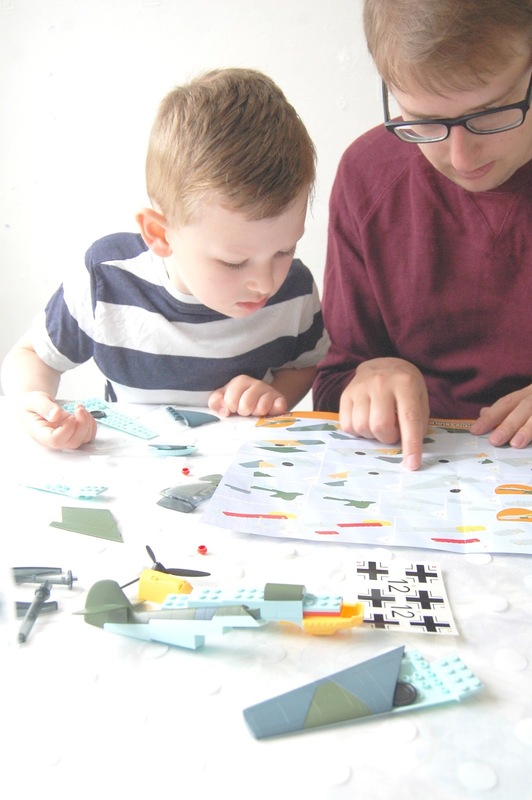 I really enjoyed putting the Quick build sets together with TJ too, they look brilliant and we had a lot of fun"
The boys had a great time constucting their Airfix sets; I love seeing them doing things together. It makes me so proud to be a mama to this lovely boy and so happy to see how much he loves being with his Dad. I'm sure they'll be building more sets in the future! What are your little ones hobbies? 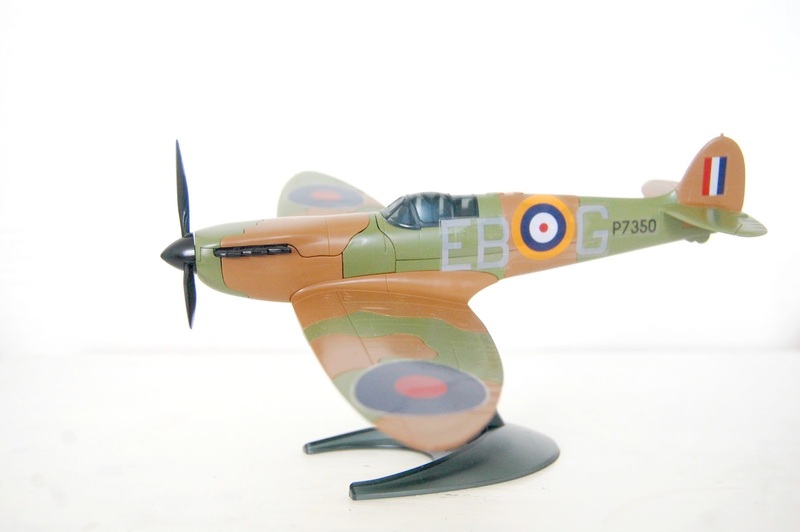 NB Post in Collaboration with Airfix however all opinions are entirely our own.